The latest issue of the African Journal of Range & Forage Science is a Special Issue entitled "Bush Encroachment – changes, causes, consequences and cures." The issue deals with bush encroachment of rangeland and savanna in southern Africa and will be launched as part of the 49th Annual GSSA Congress to be held on 20-25 July 2014 at the at the Phillip Sanders Resort & Conference Centre in Bloemfontein. Bush encroachment is the increase in biomass of indigenous woody or shrubby plants to the detriment of the herbaceous (grassy) layer. Different authors refer to the phenomenon by various terms, from “bush thickening”, “woody thickening”, “shrub thickening”, the slightly more pejorative “shrub encroachment”, to the (perhaps alarmist) “woody weed invasion”, and “shrub invasion”. 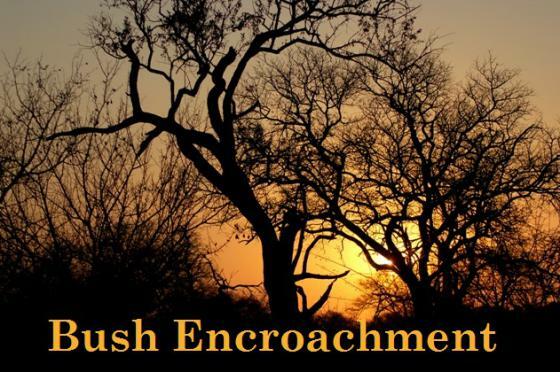 There has been some debate as to the best term to use, but “bush encroachment” and “shrub encroachment” are the most commonly seen in the literature, with up to 150 times more papers using “encroachment” rather than “thickening”. Regardless of its name, managers have been aware of the phenomenon for nearly a century, and interest in its effects on both biodiversity and rangeland productivity has continued unabated. The problem occurs in savannas across the globe, and given that roughly 2 billion people live in savannas, the effects of bush encroachment could be devastating. Despite extensive global research into bush encroachment over the decades, we have yet to reach agreement on its causes. This special edition on bush encroachment (causes, consequences and cures) in southern Africa draws together a set of research papers with some of the more recent findings on bush encroachment in this region, along with a thought-provoking review of the state of our knowledge, particularly in a southern African context. All the articles are available online for free download until the end of August 2014 here.